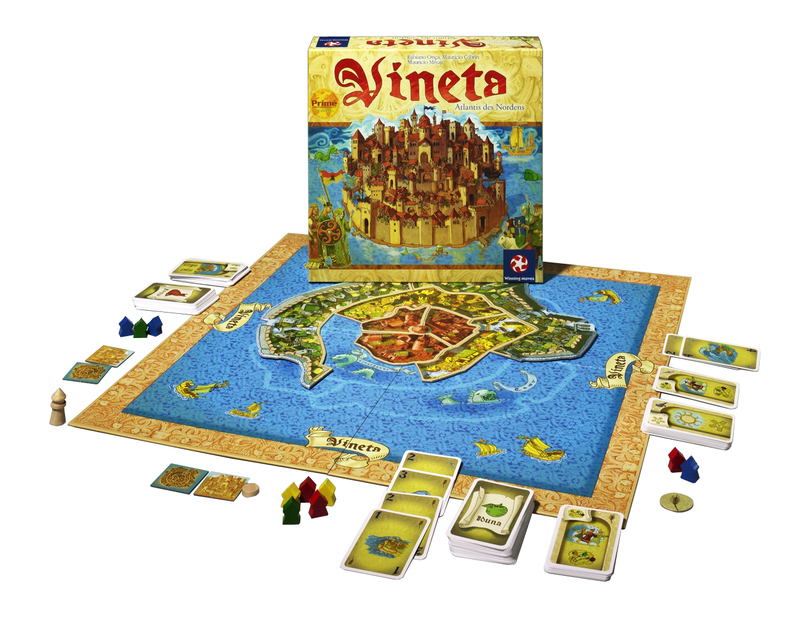 In Vineta, players are Norse gods trying to sink the city of Vineta in order to score points primarily by removing houses from the sunken sections. The game board is made up of nine city sections that fit together to create make a city comprising of 3 rings of 3 areas. Lots of coloured houses are placed on the city areas at the start by the players (usually quite spread out). Each player has a hand of cards and two secret objective tiles – one shows which city area the player will get bonus points for if it is the one area that survives, and the other tile shows which colour of houses they will get bonus points for if any of that colour survive too.